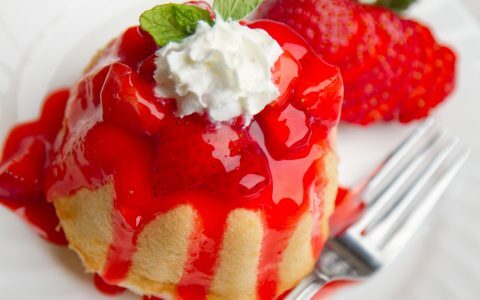 Dusted with confectioner’s sugar and bursting with sweet raspberry jam, these jelly-filled delicacies are sure to be gone in a snap. Share with a family and friends for a relaxing end to a lively Hanukkah night. 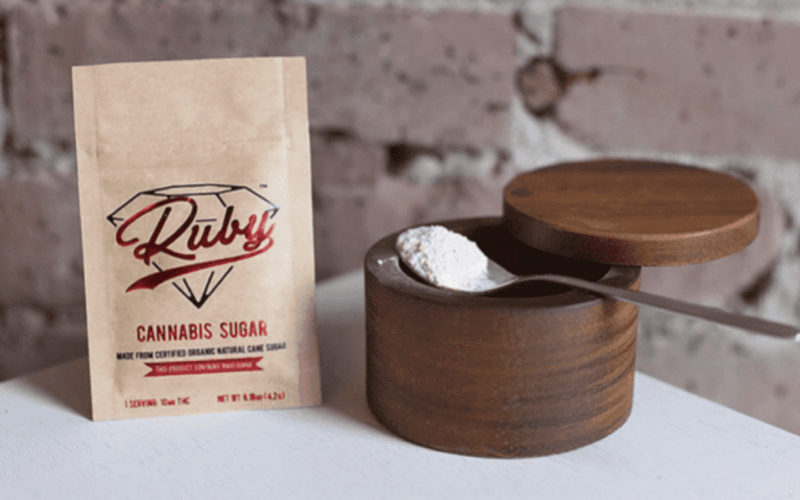 Cannabis product: Ruby Cannabis Sugar from Ruby Edibles (available in Washington). Add the yeast and one packet of the infused sugar to lukewarm milk, allowing it to dissolve fully. Let sit for 10 minutes, or until mixture has frothed. In a large bowl, combine the remaining infused sugar packets with the egg and egg yolk. Add the sour cream, salt, vanilla, and yeast mixture. Beat until thoroughly combined. Fold flour in slowly, a little at a time. Continue stirring until the mixture turns into a soft, elastic dough. Knead the dough, adding more flour if necessary, for about five minutes. Add a bit of oil to the dough mixture and turn the dough to coat it evenly in oil. Cover the bowl with plastic wrap and set aside in a warm place for two hours until dough has risen and doubled in size. Coat a clean, flat surface with flour. Remove plastic wrap from bowl. Knead the risen dough in the bowl for another few minutes and then remove and place on floured surface, using a rolling pin to flatten the mixture. The dough should reach a ¼-inch thickness. Cut dough into two-inch rounds using a cutter. Combine the leftover scraps and roll out again, repeating the cutting process, in order to use as much of the dough as possible. Separate your dough rounds into two even piles. Set one pile aside. With the first pile, put a teaspoon of raspberry jam in the middle of each dough round. Wet the edges of the dough with a little water. From the second pile, add a dough round to the top of each jelly-filled round, and press the edges together to create a sticky seal. Flour a baking tray and arrange the rounds, leaving space in between each round. When all rounds are in place, let sit and allow to rise for another 30 mins. In a saucepan, heat 1 ½ inches of vegetable oil over medium-high heat and drop the sufganiyot into the oil, two at a time. With the lid on the pan, fry for about four minutes or until golden brown. Then turn and fry the other side for another minute. Carefully remove and place on paper towels to drain and dry. 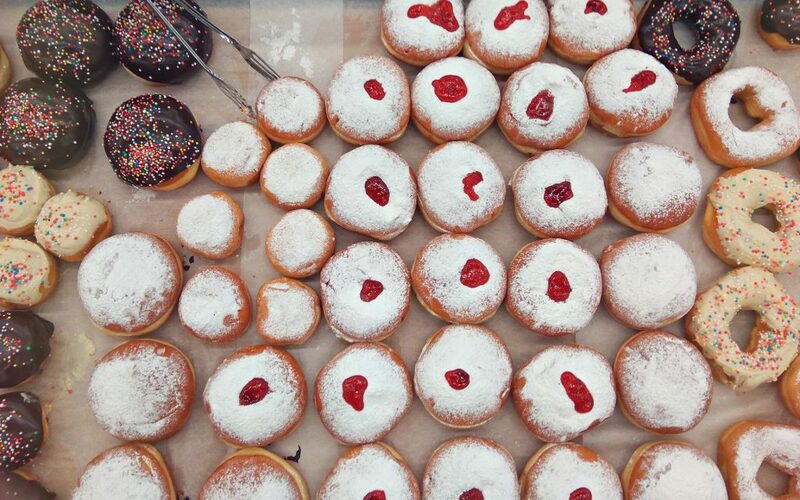 Sprinkle the confectioner’s sugar liberally on each sufganiyot, and serve warm and fresh.